All I know is that as a former resident of a coastal southern hemisphere city brimming with fishing activity – that I am a firm lover of all things seafood related! And that is why I thought it was high time that we shared some of the delicious recipes that our community of bloggers have been serving up! While Annelies of Een Lepeltje Lekkers creates a very luxurious seafood pasta dish. And Geertrui of Truitjeroermeniet shows us how to make clam pasta with a lemon twist. Last, but definitely not least, Sylvain of Un peu Gay Dans Les Coings has us drooling over his Spicy Korean Mussels. 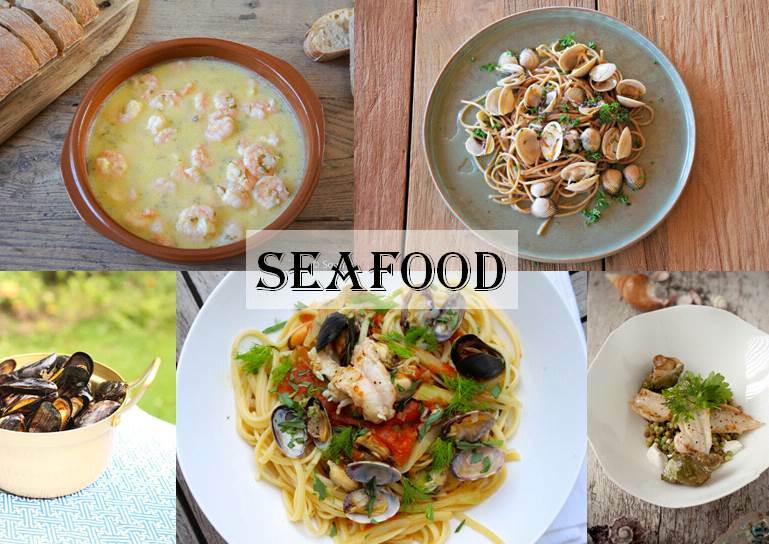 Do you have an seafood recipe that you wish to share with us? Just add the link to the comments section below!